Happy Thanksgiving 2014 from my beautiful hotel room in the brand new Palace Inn in Humble, Texas! This is my third week staying in this hotel while I’m continuing to look for more affordable housing in Houston for the long term. I’ve been in the Houston area since the end of September. I’m celebrating Thanksgiving with egg rolls and pot stickers with some Hershey’s dark chocolate and almonds thrown in for dessert. Not the original turkey feast, I know . . . but I love Chinese food and I haven’t had any in so long I don’t even remember the last time I ate it. However, for right now, I’m sipping on a cup of decaf coffee with French vanilla creamer (it was five years ago today that I “decaffeinated” myself off of regular coffee). To the child of God, there is no such thing as accident. He travels an appointed way. The path he treads was chosen for him when as yet he was not, when as yet he had existence only in the mind of God. Accidents may indeed appear to befall him and misfortune stalk his way; but these evils will be so in appearance only and will seem evils only because we cannot read the secret script of God’s hidden providence and so cannot discover the ends at which He aims. When true faith enters, chance and mischance go out for good. They have no jurisdiction over them that are born of the Spirit, for such as these are sons of the new creation and special charges of the Most High God. While sojourning here below, these children of the eternal covenant may pay token tribute to nature; sickness, old age and death may levy upon them, and to the undiscerning eye, they may seem to be as other men. Here, as in all its other judgments upon Christianity, the world is completely fooled by appearances, for it cannot see that these believing ones are hid with Christ in God. “Then Jacob was left alone; and a Man wrestled with him until the breaking of day. Now when He saw that He did not prevail against him He touched the socket of his hip; and the socket of Jacob’s hip was out of joint as He wrestled with him” (Genesis 32:24-25). The enemy never quite knows how to deal with a humble man; he is so used to dealing with proud, stubborn people that a meek man upsets his timetable. And furthermore, the man of true humility has God fighting on his side—who can win against God? Strange as it may seem we often win over our enemies only after we have first been soundly defeated by the Lord Himself. God often conquers our enemies by conquering us…. When God foresees that we must meet a deadly opponent, he assures our victory by bringing us down in humbleness at His own feet. After that, everything is easy. We have put ourselves in a position where God can fight for us, and in a situation like that, the outcome is decided from eternity (from “We Travel An Appointed Way”). The subject of humility (as in being humble) is not often a topic of conversation in Christian circles today, yet it is absolutely necessary and at the same time powerful in God’s economy. Unfortunately, it’s opposite–false humility–is found among us in droves. In fact, it is such a useful disguise of our adversary in Christian circles that we often fail to see it in either ourselves or in others. And it is a deadly deception. While reading that article if we find ourselves thinking about others who might fit that description (and who doesn’t? 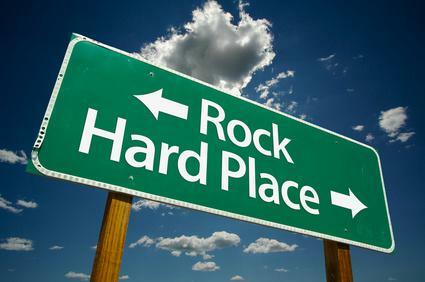 ), we need to consider the fact that we often “go there” ourselves whether we want to admit it or not. And that’s what makes false humility so deadly. We fail to recognize it in ourselves. Pride is the #1 sin that leads to all other sins. A high sense of self and what we want can be and often is hidden behind the mask of false humility, and even if we are successful at fooling other folks (and even ourselves) most of the time, God is not fooled. Strange as it may seem we often win over our enemies only after we have first been soundly defeated by the Lord Himself. God often conquers our enemies by conquering us…. When God foresees that we must meet a deadly opponent, he assures our victory by bringing us down in humbleness at His own feet. After that, everything is easy. We have put ourselves in a position where God can fight for us, and in a situation like that, the outcome is decided from eternity. Too often the things and people who catch our attention keep us focused on the “here and now” and what we can get in this life. Rarely do we live with an eternal perspective in mind. However, as Christians, we are not here to build our own comfortable kingdoms to live in and that includes within the church environment, too. Everything in God’s economy moves towards redemption (see 2 Peter 3:9). If we are too busy looking after our own comfort and security here on earth, we have totally missed His mission for us. We who live here in America have much to be thankful for on this Thanksgiving Day, but let’s not let it continue to fill us with pride so as to constantly seek more . . .
Let us seek Him instead . . . .
and those who humble themselves will be exalted. After eight weeks of living in weekly-rate hotels since I arrived in Houston at the end of September 2014, I can certainly see where the author of the following blog post (see below) from “The Daily Way” is coming from. However, I have no “home” to go back to as I was staying in a spare bedroom of a friend’s home in Orlando for almost six months after losing my apartment in another city in Florida where I had been living for four and a half years. The new owners who purchased the house back in January 2014 where my apartment was located upped the rent significantly (with no improvements to my apartment in an old house that was built in 1938) and I could no longer afford to stay there. And the search for affordable housing (as a long-term unemployed born and bred U.S. Citizen in America) since that time as been, to say the very least, interesting . . . . Welcome to “a sign of the times” . . . . The only cure I know for our complacency is stated in the the words of Jesus Christ at the beginning of his three-year ministry in Matthew 4:17. And those words are . . . .
Repent, for the Kingdom of Heaven is at hand . . . . Yes, repent . . .
YouTube Video: “Don’t Get Comfortable” by Brandon Heath (click link to listen to video). Trying to sleep in foreign quarters can be challenging. We are outside of what is familiar and comfortable to us, and there can be an irritation in our regular sleeping patterns. Regardless of whether the accommodations are better than our own home, if it is not home, it feels awkward. As believers, our time here on earth can also feel like we are away from home. And the truth is, we are. When we choose to follow God, we discover His desire to have a personal relationship with us. Yet following God in the midst of a sinful world can be challenging. One of the great debates that goes on in America today is the debate between security vs. freedom. While both are desired, neither holds the complete answer. One can be secure in a prison, but they aren’t free, and it is certainly not a way most of us would want to live. The rich among us often think that their money gives them both freedom and security; however, being a slave to money and the constant quest for more of it is not true freedom, and money is more often then not here today and gone tomorrow, so it provides no real security in the long run. Just look at the past two Wall Street crashes in 2001 and 2008 and The Great Depression in the 1930’s where fortunes were literally lost overnight. –a bird being let out of a cage. –a woman regaining her independence after a controlling marriage is over. –the right of U.S. citizens to express their ideas and opinions. –a prisoner being let out of prison after serving their time. 2. Something that gives or assures safety, tranquility, certainty, etc. ; protection; safeguard. It goes without saying that most of us want both, and in a prosperous country like America we view money as being the main source that will give us both. But all of the money in the world can’t save us from some of the greatest threats to our freedom and security including the threat of more acts of terrorism being carried out on our own soil (e.g., like 9/11) or yet another and more devastating Wall Street crash. And all the money in the world can’t prevent us from succumbing to terminal illness; or divorce and all of the devastation it brings with it (including the toll on our children), or stop the erosion of our own rights as U.S. citizens. Even that bigger house or fancier car can be destroyed in a natural disaster or an accident. We’ve become slaves to the very things that we own or want to own more of (like money and all it can buy), and all of that “stuff” is temporary at best. No one really knows what tomorrow will bring, but we strive to try and make it as secure as possible and live under the illusion that, for however long it lasts, we are succeeding at it. And we end up living for the temporary instead of the eternal. We put way too much stock in the power of money, and way too little stock in the power of God. We try to mix the two all the time and God will have none of it. Jesus clearly stated in Matthew 6:24 that “No one can serve two masters. Either you will hate the one and love the other, or you will be devoted to the one and despise the other. 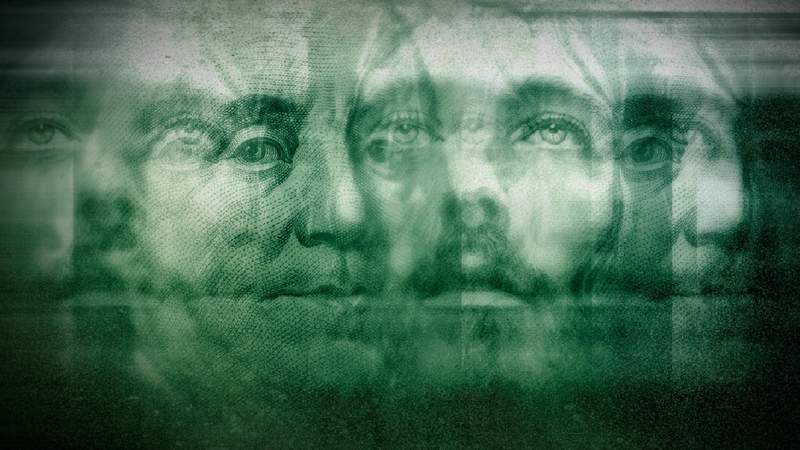 You cannot serve both God and money.” And we are reminded again in I John 2:15-16, “Do not love the world or anything in the world. If anyone loves the world, love for the Father is not in them. For everything in the world—the lust of the flesh, the lust of the eyes, and the pride of life—comes not from the Father but from the world.” But do we even pay attention anymore? Apparently, we don’t . . . at least not in 21st Century America . . . .
We try to worship at the altars of both money and God (and Jesus said it can’t be done), and most of the time the acquiring of money and material possessions and the lifestyle that goes with it takes precedence except maybe when we are attending church on Sunday and giving homage to God for an hour or two. And that leaves the other 166 hours in the week to do whatever we want, including indulging in that constant quest for more that is never satisfied. And we don’t even care how we get it anymore, either. Even our ethics have died in the pursuit of the almighty dollar. If we want genuine freedom and security, it is only found in one place, and that is in Jesus Christ. And the freedom and security He gives us has nothing to do with the definition of freedom and security in this world of ours. No, the freedom and security He gives us is eternal and not found in anything or anyone else on this Earth for the very brief number of years any of us are given to live here. After the terrorist attack and the collapse of the Twin Towers in New York City on September 11, 2001, Cynthia Otto took care of the search-and-rescue dogs. Years later she established a Working Dog Center where young pups are put through specialized training to prepare them to help victims of disaster. Otto made this comment about these rescue animals: “There are so many jobs now that dogs are being used for . . . and they can save lives.” Otto said that these puppies will one day give vital aid to people in life-threatening circumstances. They are “born” to rescue others. The Bible tells us of the Messiah who was born to rescue humanity from the penalty of sin. What He did rises above all earthly comparison. Two thousand years ago, God Himself became human in order to do for us what we could not do for ourselves. When Jesus became a man, He understood and proclaimed that He was born to rescue (John 12:27). “For even the Son of Man did not come to be served, but to serve, and to give His life a ransom for many” (Mark 10:45). Let us praise our wonderful Savior—Jesus Christ—who was born to save all who will accept His offer of salvation. Christ came to seek and to save the lost. I’m old enough to remember when that was the simple message of the church. Now we hype it up and include everything our culture indulges us with in that message as if we can still have it all and Jesus, too. And we hide our selfish indulgences behind all kinds of Christian verbiage in order to live life on our terms and make is sound like it’s okay . . .
And it’s not okay . . . .
We act as if spiritual warfare (see Ephesians 6:10-18) is a thing of the past. In fact, it is rarely a subject that is taught in most of our churches today. And many of the younger Christians in our midst (not to mention a lot of the olders folks who have forgotten what it is) have no clue as to what exactly spiritual warfare is in our self indulgent, materialistic version of Christianity in America. Someday the church can relax her guard, call her watchmen down from the wall and live in safety and peace; but not yet, not yet…. The healthiest man has enough lethal bacteria in him to kill him within twenty-four hours except for one thing-the amazing power of the human organism to resist bacterial attack. Every mortal body must fight its internal enemies day and night. Once it surrenders its hours are numbered. Quite literally it must fight or die…. The church lives in a hostile world. Within and around her are enemies that not only could destroy her, but are meant to and will unless she resists force with yet greater force. The Christian would collapse from sheer external pressure were there not within him a counter-pressure sufficiently great to prevent it. The power of the Holy Spirit is, therefore, not optional but necessary. Without it the children of God simply cannot live the life of heaven on earth. The hindrances are too many and too effective. (From “That Incredible Christian” by A.W. Tozer). Too often in our 21st Century culture we don’t resist much of anything that comes our way. We give in over and over again to our whims and our greed while claiming that the blood of Christ covers it all, and that makes it all okay. And that kind of “theology” doesn’t exist in the Bible. A selfish way of living is absolutely the opposite of how Jesus taught us to live as His disciples. And it brings with it neither the security nor the freedom that Jesus offers us if we will only live His way and not by our own devices. As the words to the song ask, “Where are the virtues that once gave us light? Where are the morals that governed our lives? Someday we all will awake and look back just to find what we’ve lost.” If we don’t act now, it will be too late. We need to get back to “a faith that is fervently grounded in Christ and the hope that endures for all times.” These are the basics of life, and . 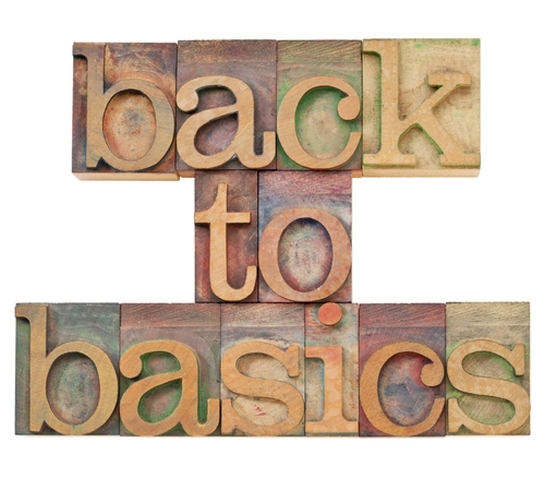 . .
We need to get back to the basics of life . . . There is no room for compromise . . . . 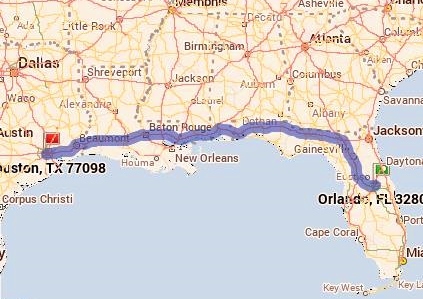 I left Orlando, Florida, on September 26, 2014, after spending six months there and headed for Houston, Texas. I had no idea what might be waiting for me in Houston, but I was determined to find out. I’ve never been able to get Houston out of my mind ever since I lived here six years ago for exactly one year (September 25, 2008 to September 25, 2009), even though the job I relocated to Houston for turned out to be the biggest bust career-wise in my entire life. And, it has also left me unemployed for the past 5 1/2+ years now. But I didn’t blame the city. No, it’s not Houston’s fault. I just landed in a really bad place to work. But I fell in love with the city. So I came back . . . . I don’t know what I expected to find as I made the 18-hour drive back to Houston, but I love taking road trips so I was full of anticipation. I’ve been looking for a wide open door for the past 5 1/2 years and so far I haven’t found it no matter how hard I’ve looked and tried. I’ve even tried to wedge it open on my own a few times only to discover I couldn’t do it. Everybody needs a little help at times, but I just wasn’t finding it. 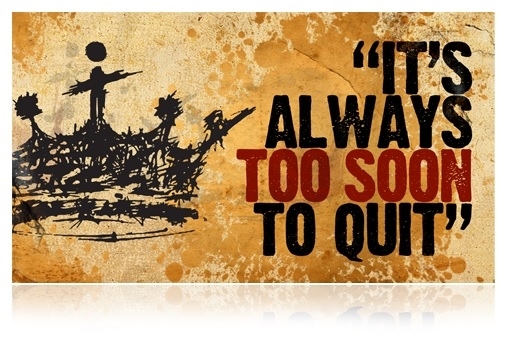 But I’m not a quitter, and I don’t give up. So I decided to take my search back to where the bad stuff (long term unemployment) all began when I lost that job in Houston in April 2009. And Texas is certainly a big enough state to find a wide open door . . . The first thing I went looking for when I arrived over six weeks ago was inexpensive housing. I checked out all the “room for rent” ads as well as apartments and temporary sublets on Craigslist and in other sources and answered a bunch of them. The response, unfortunately, was practically zilch; and of the few who did respond, the price was too high on the first one and I was also expected to share a bathroom with three other tenants (are you kidding me???) in a house in The Woodlands, and the second person who responded with a cryptic email stating, “Can show on Wednesday,” never wrote back when I responded asking for a time and location so I could look at the room for rent. Another couple of responses directed me go to “Roomster.com” to find them and once I got there, I discovered that after I created an account it is not a free service as one has to pay a fee to contact those folks advertising rooms for rent. And it’s not cheap, either. I also checked out apartment complexes, especially those that catered to seniors and low income (I qualify for both) and found waiting lists a mile long (well, of up to a year or longer). And all the time I’ve been doing this I’ve been staying at weekly-rate hotels. Weekly-rate hotels are much cheaper than staying at a regular hotel but still very pricey overall when compared to rent on an apartment, but I’m unemployed and living on a very limited income (social security) that isn’t enough income to qualify to rent a regular apartment. Talk about being between a rock and a hard place . . . .
Also, being a “new” senior on social security now that I turned the magic age of 62 of few months ago, I could officially apply for low-income senior housing. Someone I had talked with in the past couple of weeks suggested an “Interfaith” organization as a place where I might find some help, so this past Wednesday I visited that organization and got a two-page list of apartments in the area (including several senior, low-income and “Section 8 subsidized–HUD–housing”) so I started down the list calling a bunch of them. Most had waiting lists or the rent was too high, but I decided to visit three of them in The Woodlands as I really like that particular suburb in the Houston area. The first place I visited was absolutely huge, and the woman I talked with was very friendly. I told her I was new to all this “senior” stuff and she gave me a lot of information including the 30-page HUD application. 30 pages!!! I thanked her for the information and then visited the other two complexes that were nearby and much smaller (I really liked the third complex the best–a small complex with 66 units and a very cozy feeling–but with a waiting list of up to a year). And, I got a copy of the HUD application from them, too. I have to tell you that one look at that application is a bit discouraging. And I don’t like anyone nosing into my business to that extent–talk about an invasion of privacy! Now before I go any further I want to mention that I am an able bodied U.S. citizen who has been actively seeking work (in and outside of my career field) for the past 5 1/2 years since the day after I was fired in April 2009. Also, I didn’t want to have to take Social Security at 62. I want to WORK!!! And I can earn a whole lot more money working then living off of my small social security check, and that is exactly what I want to do, too!!! There should be no need for me to have to apply for and live in public housing if someone will just give me a break, a break I’ve been actively seeking for over 5 1/2 years now!!! With that being said, I took the three applications back to the weekly-rate hotel where I had been staying for the past three weeks and decided to give it some serious thought as to what I wanted to do over the weekend. My last week’s stay at this particular weekly-rate hotel ended on Friday (two days ago) at noon, and I made the decision to leave there on Friday instead of staying for a fourth week. I planned to get an inexpensive hotel room for a couple of days in order to not be tied into an entire week at a weekly-rate hotel. There is no refund if one leaves before the end of the week (which starts on the day the room is rented). I needed to decide whether or not to stay another week in Houston since most of the housing options that I could afford required the 30-page HUD application and up to a one-year wait to get into an apartment. And, where am I supposed to live while I’m waiting on somebody’s list to be called? Answering “room for rent” ads has gone absolutely nowhere for six weeks now, and I can’t afford the weekly-rate hotels long-term on my social security checks. I never expected for it to take this long to find some type of affordable housing (especially a “room for rent” in a home). Well, Friday and most of Saturday I spent time trying to decide whether to stay in Houston after six weeks of going nowhere fast or leave, and on Saturday I did some extensive driving around Houston in other areas as up to this point I had primarily been looking in the North Houston, Spring, The Woodlands, and Conroe areas. I had responded to ads in other parts of the city, too, over the weeks I’ve been here and that’s when I got the “Go to Roomster.com” response. I drove over to the west side of Houston including the Cypress and Katy areas and then decided to take at look at the east side of Houston in the Baytown area. So I hopped on I-10 which is the main interstate that cuts right through the heart of Houston as it’s the quickest way to get from the west side to the east side of the city, and just as I was approaching the downtown area in massive traffic (and it wasn’t even rush hour as it was Saturday) every vehicle traveling on I-10 came to a screeching halt and at that point it was an incredibly slow crawl for what seemed like miles on end. Finally, I noticed a big sign off to the left that said, “I-10 closed on Nov 7th and Saturday (8th).” I couldn’t believe it. They closed a main artery through Houston that close to a million vehicles travel on on a daily basis? Whoa . . . The mass of traffic at a standstill or slow crawl stretched as far as the eye could see. Well, I happened to be in the left lane of traffic and noticed a sign for the exit to I-59 North that was just up ahead on the left. I-59 North goes back to the northeast section of Houston so I decided to take it and get out of the mess on I-10. As I approached FM 1960 (a main road in the North Houston area) I exited on FM 1960 and ended up in Humble which is only a few miles from where I had been staying in that weekly-rate hotel. So here I am for this next week . . .
It’s natural to look out for number one. But this focus on self takes us off course in our walk of faith. We may profess devotion and obedience to God, yet we seldom are willing to give up anything for Him. In Genesis 22, we see that Abraham was told to give up not just a little something—he was told to give up his long-awaited and treasured son, Isaac. “Some time later God tested Abraham. He said to him, ‘Abraham!’ ‘Here I am,’ he replied. Then God said, ‘Take your son, your only son, whom you love—Isaac—and go to the region of Moriah. Sacrifice him there as a burnt offering on a mountain I will show you’” (Genesis 22:1-2). Can you imagine the pain of hearing those words? After years of waiting for his promised son, Abraham had now been called to sacrifice him. Most of us would claim that we had misheard God. We would try to bargain with Him or to run and hide our beloved treasure from Him. Yet the Bible gives no indication that Abraham put up a fight. How could he go along with such a plan? Abraham’s faith was bigger than his fear of losing his son forever. After a lifetime of lessons in his walk of faith, Abraham had finally learned to not limit God with human thinking. 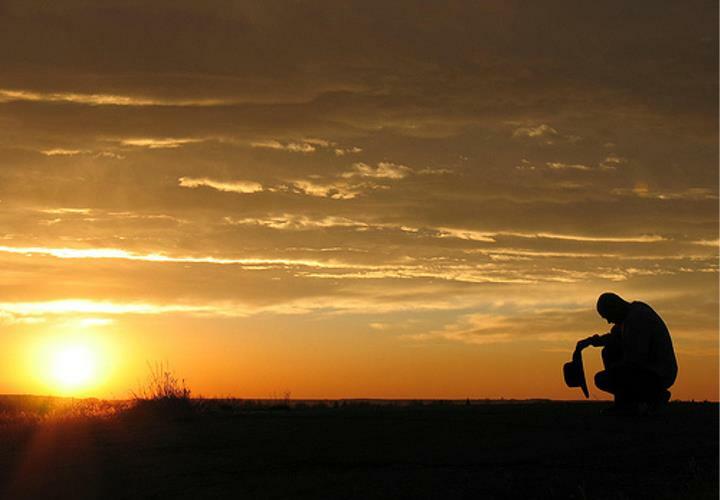 Prayer: God, help me to be totally surrendered to You and Your plan for my life. Help me not to put my human limits on who You are and what You can do, for You are far greater than I can even imagine. I pray in the name of Jesus. Amen. “Who has prescribed his ways for him, or said to him, ‘You have done wrong’?” (Job 36:23). I don’t know what this next week holds, but I know Who holds it in His hands. I just have to keep my hands off of it and let each day unfold as I leave it with Him to guide me. One thing I keep learning over and over again especially during these past 5 1/2 years of wandering around in the land of the unemployed is that God is always up to something, even when we can’t see it or know what it is He is doing. His ways are, indeed, not our ways (Isaiah 55:8-9). If someone in my reading audience is going through a season of discouragement, I hope this post has given you a bit of encouragement. I’ve had my share of discouragement and disappointments during these past six weeks in Houston (as I’ve had during these past 5 1/2 years of unemployment), but I’ve learned over and over again to let go of what I want (my wants are so very few anymore) or think should be happening by now and hold nothing back from God (including those things and/or people that have become my “Isaac”), and let Him guide me. And it’s at that point that He brings the most unexpected surprises (even in really small things and not just in the big things). I had reached that point yesterday when I was just not sure what to do as I drove across I-10 in the middle of Houston and right into that massive traffic jam that took me on a detour I never expected but greatly appreciated. I never would have guessed that another week’s stay in a really cool and beautiful hotel room (much, much cooler than any of the others I’ve stayed at while I’ve been here) was even on the radar screen. And even the name of this hotel has His fingerprints all over it–Palace Inn in Humble, Texas. God’s leading really is a “moment-by-moment” thing. At just the point I was tempted to quit, He provided the answer in a way I never expected, and He gave me hope when I felt like hope was slipping through my fingers. Proverbs 3:5-6 states: “Trust in the Lord with all your heart and lean not on your own understanding; in all your ways submit to him, and he will make your paths straight.” That’s “moment-by-moment” guidance, and it’s not just in the big decisions in life but in the everyday decisions we make, too; even in the tiniest of decisions. So if you happen to be carrying a load of discouragement right now and are at the point of quitting, remember these three things . . .
Trust in the Lord with all your heart . . .
And do not lean on your own understanding . . .
And let God lead the way “moment-by-moment” . . . .
3) they must have no dealings with the world and the flesh. 3) try as far as possible to spread the saving gospel to the lost world. The highest expression of the will of God in this age is the church which he purchased with His own blood. To be scripturally valid any religious activity must be part of the church. Let it be clearly stated that there can be no service acceptable to God in this age that does not center in and spring out of the church. Bible schools, tract societies, Christian business men’s committees, seminaries, and the many independent groups working at one or another phase of religion need to check themselves reverently and courageously, for they have no true spiritual significance outside or apart from the church. According to the Scriptures the church is the habitation of God through the Spirit, and as such is the most important organism beneath the sun. She is not one more good institution along with the home, the state, and the school; she is the most vital of all institutions–the only one that can claim a heavenly origin. The cynic may inquire which we mean, and may remind us that the Christian church is so divided that it is impossible to tell which is the true one, even if such a one exists. But we are not too much troubled by the suppressed smile of the doubter. Being inside the church we are probably as well aware of her faults as any person on the outside could possibly be. And we believe in her nevertheless wherever she manifests herself in a world of darkness and unbelief. The church is found wherever the Holy Spirit has drawn together a few persons who trust Christ for their salvation, worship God in spirit and have no dealings with the world and the flesh. The members may by necessity be scattered over the surface of the earth and separated by distance and circumstances, but in every true member of the church is the homing instinct and the longing of the sheep for the fold and the Shepherd. Give a few real Christians half a chance and they will get together and organize and plan regular meetings for prayer and worship. In these meetings they will hear the Scriptures expounded, break bread together in one form or another according to their light, and try as far as possible to spread the saving gospel to the lost world. Such groups are cells in the Body of Christ, and each one is a true church, a real part of the greater church. It is in and through these cells that the Spirit does His work on earth. Whoever scorns the local church scorns the Body of Christ. The church is still to be reckoned with. “The gates of hell shall not prevail against her” (see Matthew 16:13-20). Today the cross is an accepted symbol of love and sacrifice. But in that day, the cross was a horrible means of capital punishment. The Romans would not mention the cross in polite society. In fact, no Roman citizen could be crucified; this terrible death was reserved for their enemies. Jesus had not yet specifically stated that He would be crucified (He did this in Matt. 20:17-19). But His words that follow emphasize the cross. To deny self does not mean to deny things. It means to give yourself wholly to Christ and share in His shame and death. Paul described this in Romans 12:1-2 and Philippians 3:7-10, as well as in Galatians 2:20. To take up a cross does not mean to carry burdens or have problems. (I once met a woman who told me her asthma was the cross she had to bear!) To take up the cross means to identify with Christ in His rejection, shame, suffering, and death. But suffering always leads to glory. This is why Jesus ended this short sermon (see Matthew 16:21-28) with a reference to His glorious kingdom (in Matthew 16:28). This statement would be fulfilled within a week on the Mount of Transfiguration (Matthew 17). The true church of Jesus Christ follows Him and not the world. In our society today so much of the world and our culture has invaded the church that there is a great need to get back to the basics of genuine and authentic Christianity–Christianity as described in the New Testament. Which church – that is, which denomination of Christianity – is the “true church”? Which church is the one that God loves and cherishes and died for? Which church is His bride? The answer is that no visible church or denomination is the true church, because the bride of Christ is not an institution, but is instead a spiritual entity made up of those who have by grace, through faith been brought into a close, intimate relationship with the Lord Jesus Christ (Ephesians 2:8-9). Those people, no matter which building, denomination, or country they happen to be in, constitute the true church. In the Bible, we see that the local (or visible) church is nothing more than a gathering of professing believers. In Paul’s letters, the word “church” is used in two different ways. There are many examples of the word “church” being used to simply refer to a group of professing believers who meet together on a regular basis (1 Corinthians 16:9; 2 Corinthians 8:1, 11:28). We see Paul’s concern, in his letters, for the individual churches in various cities along his missionary journey. But he also refers to a church that is invisible—a spiritual entity that has close fellowship with Christ, as close as a bride to her husband (Ephesians 5:25, 32), and of which He is the spiritual head (Colossians 1:18; Ephesians 3:21). This church is made up of an unnamed, unspecified group of individuals (Philippians 3:6; 1 Timothy 3:5) that have Christ in common. The word “church” comes from the Greek word “ekklesia” meaning “a calling out.” The word describes a group of people who have been called out of the world and set apart for the Lord, and it is always used, in its singular form, to describe a universal group of people who know Christ. The word “ekklesia,” when pluralized, is used to describe groups of believers who meet together. Interestingly enough, the word “church” is never used in the Bible to describe a building or organization. It is easy to get ensnared by the idea that a particular denomination within Christianity is “the true church,” but this view is a misunderstanding of Scripture. When choosing a church to attend, it is important to remember that a gathering of believers should be a place where those who belong to the true church (the spiritual entity) feel at home. That is to say, a good local church will uphold the Word of God, honoring it and preaching faithfully, the gospel will be proclaimed steadfastly, and the sheep will be fed and tended and cared for by godly leaders. A church that teaches heresy or engages in sin will eventually be very low on (or entirely bereft of) those people that belong to the true church—the sheep who hear the voice of the Shepherd and follow Him (John 10:27). Members of the true church always enjoy agreement in and fellowship around Jesus Christ, as He is plainly revealed in His Word. This is what is referred to as Christian unity. Another common mistake is to believe that Christian unity is just a matter of agreeing with one another. Rather than speaking the truth in love and spurring one another on to unity in Christ, this encourages believers to refrain from speaking difficult truths. It sacrifices true understanding of God in favor of a false unity based on disingenuous love that is nothing more than selfish tolerance of sin in oneself and others. The true church is the bride of Christ (Revelation 21:2, 9, 22:17) and the body of Christ (Ephesians 4:12; 1 Corinthians 12:27). It cannot be contained, walled in, or defined by anything other than its love for Christ and its dedication to Him. The true church is, as C.S. Lewis put it, “spread out through all time and space and rooted in eternity, terrible as an army with banners” (quote source here). Therefore, since we are surrounded by such a great cloud of witnesses, let us throw off everything that hinders and the sin that so easily entangles. And let us run with perseverance the race marked out for us, fixing our eyes on Jesus, the pioneer and perfecter of faith. For the joy set before him he endured the cross, scorning its shame,and sat down at the right hand of the throne of God. Now is not the time to wimp out . . . It times to rise up, Church . . .
Rise up . . . .
Answer: Hebrews 11:1 tells us that faith is “being sure of what we hope for and certain of what we do not see.” Perhaps no other component of the Christian life is more important than faith. We cannot purchase it, sell it or give it to our friends. So what is faith and what role does faith play in the Christian life? The dictionary defines faith as “belief in, devotion to, or trust in somebody or something, especially without logical proof.” It also defines faith as “belief in and devotion to God.” The Bible has much more to say about faith and how important it is. In fact, it is so important that, without faith, we have no place with God, and it is impossible to please Him (Hebrews 11:6). Faith is belief in the one, true God without actually seeing Him. Where does faith come from? Faith is not something we conjure up on our own, nor is it something we are born with, nor is faith a result of diligence in study or pursuit of the spiritual. Ephesians 2:8-9 makes it clear that faith is a gift from God, not because we deserve it, have earned it, or are worthy to have it. It is not from ourselves; it is from God. It is not obtained by our power or our free will. It is simply given to us by God, along with His grace and mercy, according to His holy plan and purpose, and because of that, He gets all the glory. Why have faith? God designed a way to distinguish between those who belong to Him and those who don’t, and it is called faith. Very simply, we need faith to please God. God tells us that it pleases Him that we believe in Him even though we cannot see Him. A key part of Hebrews 11:6 tells us that “he rewards those who earnestly seek him.” This is not to say that we have faith in God just to get something from Him. However, God loves to bless those who are obedient and faithful. We see a perfect example of this in Luke 7:50. Jesus is engaged in dialog with a sinful woman when He gives us a glimpse of why faith is so rewarding. “Your faith has saved you; go in peace.” The woman believed in Jesus Christ by faith, and He rewarded her for it. Finally, faith is what sustains us to the end, knowing that by faith we will be in heaven with God for all eternity. “Though you have not seen him, you love him; and even though you do not see him now, you believe in him and are filled with an inexpressible and glorious joy, for you are receiving the goal of your faith, the salvation of your souls” (1 Peter 1:8-9). Examples of faith. Hebrews 11 is known as the “faith chapter” because in it great deeds of faith are described. By faith Abel offered a pleasing sacrifice to the Lord (v. 4); by faith Noah prepared the ark in a time when rain was unknown (v. 7); by faith Abraham left his home and obeyed God’s command to go he knew not where, then willingly offered up his only son (vv. 8-10, 17); by faith Moses led the children of Israel out of Egypt (vv. 23-29); by faith Rahab received the spies of Israel and saved her life (v. 31). Many more heroes of the faith are mentioned “who through faith conquered kingdoms, administered justice, and gained what was promised; who shut the mouths of lions, quenched the fury of the flames, and escaped the edge of the sword; whose weakness was turned to strength; and who became powerful in battle and routed foreign armies” (vv. 33-34). Clearly, the existence of faith is demonstrated by action. Faith is essential to Christianity. Without demonstrating faith and trust in God, we have no place with Him. We believe in God’s existence by faith. Most people have a vague, disjointed notion of who God is but lack the reverence necessary for His exalted position in their lives. These people lack the true faith needed to have an eternal relationship with the God who loves them. Our faith can falter at times, but because it is the gift of God, given to His children, He provides times of trial and testing in order to prove that our faith is real and to sharpen and strengthen it. This is why James tells us to consider it “pure joy” when we fall into trials, because the testing of our faith produces perseverance and matures us, providing the evidence that our faith is real (James 1:2-4). Without faith we cannot believe in God, and we certainly cannot please God. In fact, Hebrews 11:6 states, “And without faith it is impossible to please God, because anyone who comes to him must believe that he exists and that he rewards those who earnestly seek him.” There is lot of talk about faith in our culture today. Unfortunately, little of it has to do with God. Some folks like to say, “I just have faith,” but never go on to state what or who that faith is in. When it comes to the church, most folks express a measure of faith and that faith is usually in God; however, having “faith” has come to mean some pretty aberrant things nowadays. Take, for example, the “Word of Faith Movement,” touted by several high profile pastors and teachers over the past several decades. A further explanation on what this movement is and why it is not biblical can be read at GotQuestions?com at this link. As stated in that article, “The Word of Faith movement is deceiving countless people, causing them to grasp after a way of life and faith that is not biblical” (quote source here). It’s also totally self-centered. It focuses on us and what we want instead of on God and what He would have us to do. Unfortunately, untold numbers of people have fallen for this false belief about faith. Every benefit flowing from the atonement of Christ comes to the individual through the gateway of faith. Forgiveness, cleansing, regeneration, the Holy Spirit, all answers to prayer, are given to faith and received by faith. There is no other way. This is common evangelical doctrine and is accepted wherever the cross of Christ is understood. Because faith is so vital to all our hopes, so necessary to the fulfillment of every aspiration of our hearts, we dare take nothing for granted concerning it. Anything that carries with it so much of weal or woe, which indeed decides our heaven or our hell, is too important to neglect. We simply must not allow ourselves to be uninformed or misinformed. We must know. For a number of years my heart has been troubled over the doctrine of faith as it is received and taught among evangelical Christians everywhere. Great emphasis is laid upon faith in orthodox circles, and that is good; but still I am troubled. Specifically, my fear is that the modern conception of faith is not the Biblical one; that when the teachers of our day use the word they do not mean what Bible writers meant when they used it. 1. The lack of spiritual fruit in the lives of so many who claim to have faith. 2. The rarity of a radical change in the conduct and general outlook of persons professing their new faith in Christ as their personal Savior. 3. The failure of our teachers to define or even describe the thing to which the word faith is supposed to refer. 4. The heartbreaking failure of multitudes of seekers, be they ever so earnest, to make anything out of the doctrine or to receive any satisfying experience through it. 5. The real danger that a doctrine that is parroted so widely and received so uncritically by so many is false as understood by them. 6. I have seen faith put forward as a substitute for obedience, an escape from reality, a refuge from the necessity of hard thinking, a hiding place for weak character. I have known people to miscall by the name of faith high animal spirits, natural optimism, emotional thrills and nervous tics. 7. Plain horse sense ought to tell us that anything that makes no change in the man who professes it makes no difference to God either, and it is an easily observable fact that for countless numbers of persons the change from no-faith to faith makes no actual difference in the life. Perhaps it will help us to know what faith is if we first notice what it is not. It is not the ‘believing’ of a statement we know to be true. The human mind is so constructed that it must of necessity believe when the evidence presented to it is convincing. It cannot help itself. When the evidence fails to convince, no faith is possible. No threats, no punishment, can compel the mind to believe against clear evidence. Faith based upon reason is faith of a kind, it is true; but it is not of the character of Bible faith, for it follows the evidence infallibly and has nothing of a moral or spiritual nature in it. Neither can the absence of faith based upon reason be held against anyone, for the evidence, not the individual, decides the verdict. To send a man to hell whose only crime was to follow evidence straight to its proper conclusion would be palpable injustice; to justify a sinner on the grounds that he had made up his mind according to the plain facts would be to make salvation the result of the workings of a common law of the mind as applicable to Judas as to Paul. It would take salvation out of the realm of the volitional and place it in the mental, where, according to the Scriptures, it surely does not belong. True faith rests upon the character of God and asks no further proof than the moral perfections of the One who cannot lie. It is enough that God said it, and if the statement should contradict every one of the five senses and all the conclusions of logic as well, still the believer continues to believe. “Let God be true, but every man a liar,” is the language of true faith. 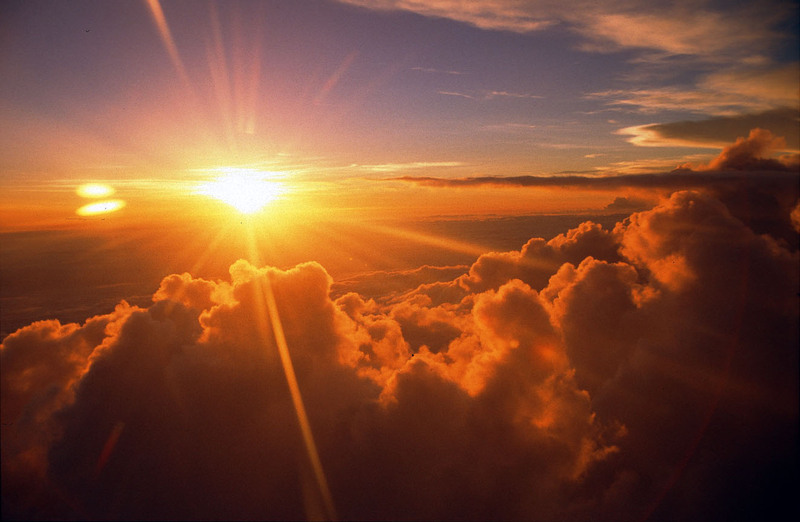 Heaven approves such faith because it rises above mere proofs and rests in the bosom of God. In recent years among certain evangelicals there has arisen a movement designed to prove the truths of Scriptures by appeal to science. Evidence is sought in the natural world to support supernatural revelation. Snowflakes, blood, stones, strange marine creatures, birds and many other natural objects are brought forward as proof that the Bible is true. This is touted as being a great support to faith, the idea being that if a Bible doctrine can be proved to be true, faith will spring up and flourish as a consequence. What these brethren do not see is that the very fact that they feel a necessity to seek proof for the truths of the Scriptures proves something else altogether, namely, their own basic unbelief. When God speaks unbelief asks, “How shall I know that this is true?” I AM THAT I AM is the only grounds for faith. To dig among the rocks or search under the sea for evidence to support the Scriptures is to insult the One who wrote them. Certainly I do not believe that this is done intentionally; but I cannot see how we can escape the conclusion that it is done, nevertheless. Faith as the Bible knows it is confidence in God and His Son Jesus Christ; it is the response of the soul to the divine character as revealed in the Scriptures; and even this response is impossible apart from the prior in-working of the Holy Spirit. Faith is a gift of God to a penitent soul and has nothing whatsoever to do with the senses or the data they afford. Faith is a miracle; it is the ability God gives to trust His Son, and anything that does not result in action in accord with the will of God is not faith but something else short of it. Faith and morals are two sides of the same coin. Indeed the very essence of faith is moral. Any professed faith in Christ as personal Savior that does not bring the life under plenary obedience to Christ as Lord is inadequate and must betray its victim at the last. The man that believes will obey; failure to obey is convincing proof that there is not true faith present. To attempt the impossible God must give faith or there will be none, and He gives faith to the obedient heart only. Where real repentance is, there is obedience; for repentance is not only sorrow for past failures and sins, it is a determination to begin now to do the will of God as He reveals it to us. You foolish person, do you want evidence that faith without deeds is useless? Was not our father Abraham considered righteous for what he did when he offered his son Isaac on the altar? You see that his faith and his actions were working together, and his faith was made complete by what he did. And the scripture was fulfilled that says, “Abraham believed God, and it was credited to him as righteousness,” and he was called God’s friend. You see that a person is considered righteous by what they do and not by faith alone. Don’t be fooled into believing in a false faith (which is no faith at all). Any time we are trying to use faith as a means to seek after any type of material gain or personal accolades (e.g., prosperity, power, and notoriety) for ourselves we are on very shaky ground. Read Hebrews 11 (the “Hall of Faith” chapter) again. Faith looks beyond our material world and does not seek it’s own. Not even once . . . .
Real faith depends on God and God alone . . . . In an blog written by Rev. Mae Elise Cannon titled, “Religious Persecution: The Tide of the 21st Century?” dated, September 30, 2014, in Huffington Post, Rev. Cannon noted that “an elderly faith-filled individual who has worked in inter-religious dialogue for decades, suggested that globally we are moving into a time where religious persecution and oppression is increasing around the world and toward numerous different religious communities” (quote source here). The rise of ISIS and it’s growing persecution of Christians and other groups across Iraq and Syria is the latest example of this persecution. And we are not immune to its effects here in America. Oftentimes, we view persecution as something that happens to people in other countries and not so much here on American soil. I’m reminded of an article regarding an upcoming event that was recently posted on Twitter that brings attention to this very fact. A well known ministry is sponsoring a “Caribbean Study Cruise” in early 2015 whereby the cruise passengers will be cruising the Eastern Caribbean while attending a conference covering topics on “persevering in the Christian life, looking to Christ’s call to endure persecution and suffering faithfully” (quote source here). The irony seems to be rather apparent. While many Christians here in America tend to view the Christian life as a sort of playground with lots of pluses (money, materialism, and entertainment being three of them), a large portion of the rest of the world sees and experiences it for what it really is, a battleground. 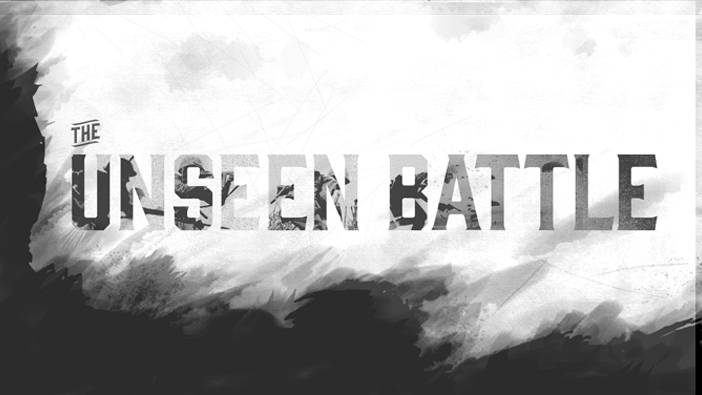 This battle is clearly described in Ephesians 6:10-18 (click here to read the passage). And America is not somehow immune to this ongoing battle. In fact, if we would take a good hard look at what is really going on in our own society underneath the surface, we would see just how very much we are in the thick of this battle, and for the most part, we are totally unprepared for it. Things are for us not only what they are – they are what we hold them to be. That is to say, our attitude toward things is likely in the long run to be more important than the things themselves. This is a common coin of knowledge, like an old dime worn smooth by use, yet it bears upon it the stamp of truth and must not be rejected simply because it is familiar. It is strange how a fact may remain fixed, while our interpretation of the fact changes with the generations and the years. One such fact is the world in which we live. It is here and has been here through the centuries. It is a stable fact, quite unchanged by the passage of time, but how different is modern man’s view of it from the view our fathers held! Here we see plainly how great is the power of interpretation. The world is for all of us not only what it is – it is what we believe it to be. And a tremendous load of woe or weal rides on the soundness of our interpretation. Going back no further than the times of the founding and early development of our country, we are able to see the wide gulf between our modern attitudes and those of our fathers. In the early days, when Christianity exercised a dominant influence over American thinking, men conceived the world to be a battleground. Our fathers believed in sin and the devil and hell as constituting one force, and they believed in God and righteousness and heaven as the other. By their very nature, these forces were opposed to each other forever in deep, grave, irreconcilable hostility. Man, our fathers held, had to choose sides – he could not be neutral. For him it must be life or death, heaven or hell, and if he choose to come out on God’s side, he could expect open war with God’s enemies. The fight would be real and deadly and would last as long as life continued here below. Men looked forward to heaven as a return from the wars, a laying down of the sword to enjoy in peace the home prepared for them. Sermons and songs in those days often had a martial quality about them, or perhaps a trace of homesickness. The Christian soldier thought of home and rest and reunion, and his voice grew plaintive as he sang of battle ended and victory won. But whether he was charging into enemy guns or dreaming of war’s end and the Father’s welcome home, he never forgot what kind of world he lived in – it was a battleground, and many were wounded and slain. That view is unquestionably scriptural. Allowing for the figures and metaphors with which the Scriptures abound, it is still a solid Bible doctrine that tremendous spiritual forces are present in the world. Man, because of his spiritual nature, is caught in the middle. The evil powers are bent upon destroying him, while Christ is present to save him through the power of the gospel. To obtain deliverance he must come out on God’s side in faith and obedience. That in brief is what our fathers thought, and that, we believe, is what the Bible teaches. How different today. The fact remains the same, but the interpretation has changed completely. 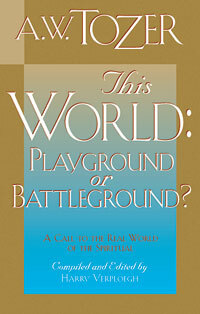 Men think of the world not as a battleground, but as a playground. We are not here to fight; we are here to frolic. We are not in a foreign land; we are at home. We are not getting ready to live, but we are already living, and the best we can do is rid ourselves of our inhibitions and our frustrations and live this life to the full. This, we believe, is a fair summary of the religious philosophy of modern man, openly professed by millions and tacitly held by many more millions who live out that philosophy without having given it verbal expression. This changed attitude toward the world has had and is having its effect upon Christians, even gospel Christians who profess the faith of the Bible. By a curious juggling of the figures, they manage to add up the column wrong and yet claim to have the right answer. It sounds fantastic, but it is true. That this world is a playground instead of a battleground has now been accepted in practice by the vast majority of fundamentalist Christians. They might hedge around the question if they were asked bluntly to declare their position, but their conduct gives them away. They are facing both ways, enjoying Christ and the world, gleefully telling everyone that accepting Jesus does not require them to give up their fun – Christianity is just the jolliest thing imaginable. The “worship” growing out of such a view of life is as far off center as the view itself – a sort of sanctified nightclub without the champagne and the dressed-up drunks. This whole thing has grown to be so serious that it is now the bound duty of all Christians to reexamine their spiritual philosophy in the light of the Bible. Having discovered the scriptural way, they must follow it, even if to do so, they must separate themselves from much that they had accepted as real, but which now in the light of truth is seen to be false. A right view of God and the world to come requires that we have a right view of the world in which we live and of our relationship to it. So much depends upon this that we cannot afford to be careless about it. “That this world is a playground instead of a battleground has now been accepted in practice by the vast majority of fundamentalist Christians . . .” We look, act, react, and want the same things as the rest of our culture. And that statement speaks volumes about the true state of Christianity in America. Many Christians today have become too comfortable in their lives, their homes, and society at large here on Earth and have forgotten that “this world is not our permanent home; we are looking forward to a home yet to come” (Heb. 13:14 NLT). And we need to get back into the battle where we belong . . .
Before it’s too late . . . . The entire book is available online at the following links below (original source here). A PDF download of the book is available at this link. We Must Not Defend, But Attack! What Is the Deeper Life?